Integration problems have arisen because China has added wind and solar power at a faster rate than the grid has expanded. In this Tuesday, Feb. 21, 2017 photo, Chinese Premier Li Keqiang reviews an honor guard during a welcome ceremony for French Prime Minister Bernard Cazeneuve at the Great Hall of the People in Beijing. 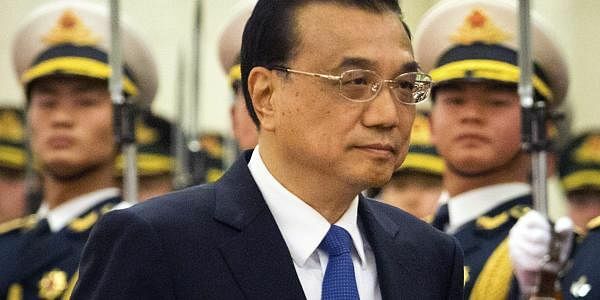 BEIJING: Chinese Premier Li Keqiang pledged today to make the country's smoggy skies blue again and "work faster" to address pollution caused by the burning of coal for heat and electricity. His words to delegates at the opening of the annual National People's Congress highlight how public discontent has made reducing smog, the most visible of China's environment problems, a priority for the leadership. The 10-day event got underway under a sunny blue sky, thanks to heavy gusts from the north that cleared away the unhealthy gray from the day before. Protests have increasingly broken out in cities where residents oppose the building of chemical plants and garbage incinerators, as China's middle class grows increasingly vocal in awareness of the dangers of pollution. In a report to China's ceremonial legislature, Li said that "people are desperately hoping for" faster progress to improve air quality. "We will make our skies blue again," he declared to almost 3,000 delegates in the Great Hall of the People. He said the government intends over the next year to step up work to upgrade coal-fired power plants to achieve ultra-low emissions and energy conservation, and prioritize the integration of renewable energy sources into the electricity grid. Integration problems have arisen because China has added wind and solar power at a faster rate than the grid has expanded. That capacity is then wasted when grid operators choose to use traditional energy sources, including coal, over renewables. Despite China's lingering dependence on coal plants, its consumption of the energy source fell in 2016 for a third year in a row. Coal now makes up 62 per cent of China's total energy consumption mix. Building on publicly available real-time and hourly readings from coal plants and other factories, Li said: "All key sources of industrial pollution will be placed under round-the-clock online monitoring." Environmental groups welcome the disclosure of such data because it allows the public to directly supervise the emissions of plants in their areas. Lauri Myllyvirta, senior coal campaigner for Greenpeace, said they had expected the government to announce a speeding up of measures because air pollution is supposed to hit targets this year that were laid down in 2013. They include a 25-percent reduction in the density of fine particulate matter -- a gauge of air pollution -- in Beijing and the surrounding region from 2012 levels. "It will require very dramatic steps to achieve those targets for this year," Myllyvirta said. Li also said the government would ramp up efforts to deal with vehicle emissions by working faster to take old vehicles off the roads and encourage the use of clean-energy cars. Environmental laws and regulations would be strictly enforced and officials who failed to do so would be held "fully accountable," he said, without giving details. Local officials have often been lax at enforcing regulations on companies that contribute to economic growth in their areas.